Have you ever been sent a really great iMessage sticker, but didn’t know where it came from? 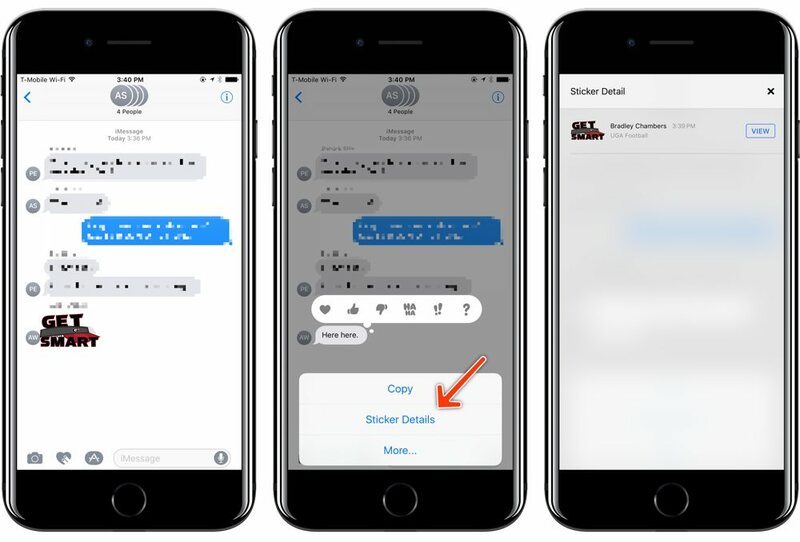 Instead of having to ask your friends, iMessage has a feature that allows you to easily see what app contains the sticker. Tap and hold any sticker you see (not a 3D-touch gesture). On the screen where you can send a thumbs up or thumbs down effect, you’ll see a Sticker Details menu item. Tap that to see which app delivered the sticker. Then, you can tap View to view the app on the App Store.